Enter your email address below to receive a notification when Slavic Moms Box starts accepting new sign-ups! Enter your email address below to receive a notification when Slavic Moms Box is accepting new sign-ups again. Our boxes are shipped out every 4th of each month! Beautiful products to Inspire you on your journey! 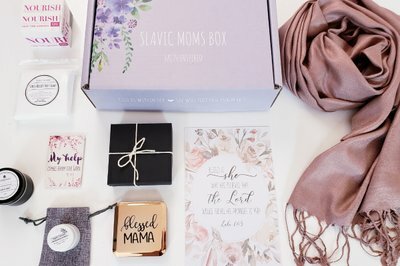 Each of our Slavic Moms Faith Boxes come uniquely picked to inspire you journey through motherhood and to help grow your faith! What makes this box different and special is that each surprise box comes with a little touch of Slavic lifestyle! Each box contains 5-8 products to uplift, reward and inspire our walk with our King! 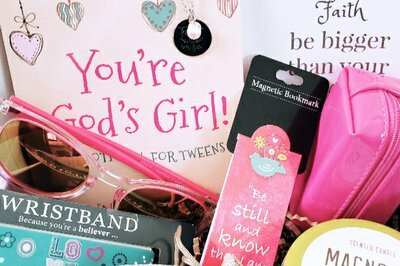 Bless a friend or a loving mama you know with surprise box! Items include: Natural Bath Products, artisan treats, tea and coffee and other useful unique gifts! I got this box from my sister as a birthday present. And I loved it so so much. It’s just full of all nice things that I would want to buy but would of never had a chance to. It’s just a sweet box filled with joy. I loved it. Will be buying some soon for my girlfriend... really good idea as a present.